When all eyes turned Rio as the Olympic Games (August 5–21) and Paralympic Games (September 7–18) unfolded, Panasonic helped to share the passion in our capacity as both an Official Ceremony Partner and as the Official Worldwide Olympic Partner in the Audio and Visual Equipment category. We provided a vast array of visual, audio, display and broadcast solutions to enhance the experience of spectators at the Games and the viewers at home around the globe. Here we take a closer look at the stunning Panasonic visual systems that made these Games such a glorious feast for the eyes. 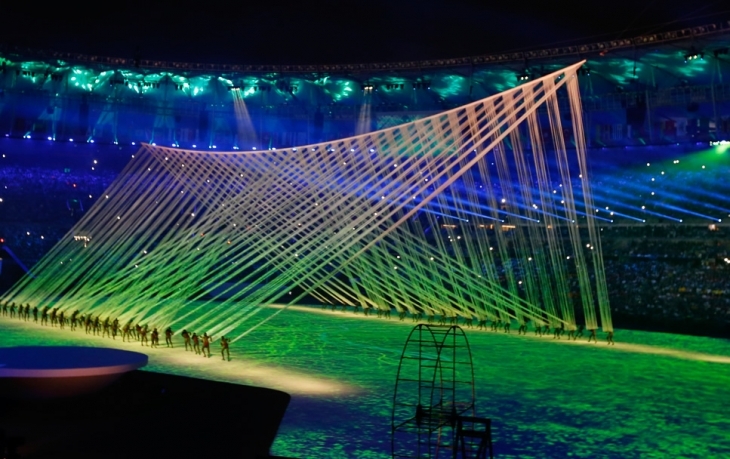 For the first ever Olympic Games and Paralympic Games staged on the South American continent, the pressure was on to ensure the Opening and Closing Ceremonies ran smoothly. 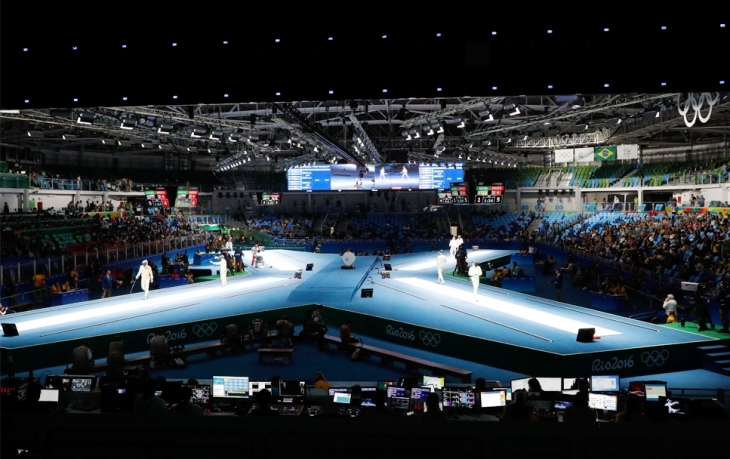 Panasonic’s quarter-century of experience in the supply, installation, and operation of visual systems at the Olympic Games was again put to the test in a whirlwind of vibrant color, with spectacular visuals brought to life by over 100 state-of-the-art PT-DZ21K2 projectors. The event was a baptism of fire for the all-new Panasonic PT-RZ31K 3-Chip DLP™ SOLID SHINE Laser projector, which performed flawlessly with brilliant 30,000 lm images in WUXGA resolution. As a Worldwide Olympic Partner and Worldwide Paralympic Partner, Panasonic’s commitment to “Sharing the Passion” extended to display system provision for competition venues, the athlete’s village, the press centre and the broadcast centre. From 98-inch Panasonic LQ70 panels that delivered 4K images to stadium spectators, to stunning floor projections with the PT-DZ21K2’s powerful mapping and multi-projection capabilities, to flawless TH-55LFV70 video-wall displays and more, Panasonic visual systems played an integral role in the creative and technical life of the Games. 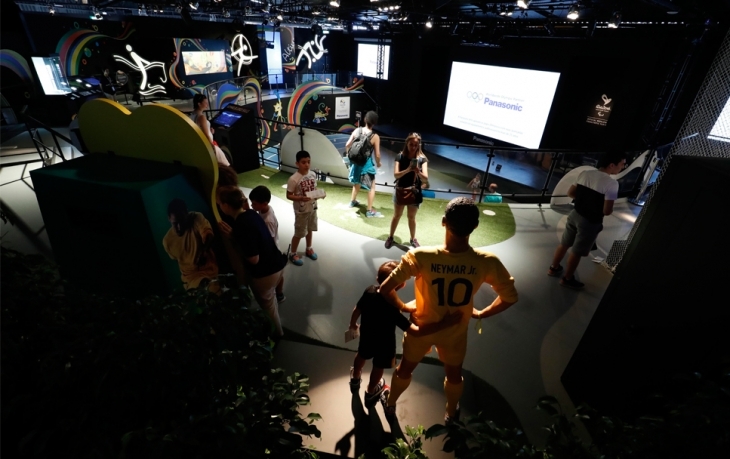 Located in Rio de Janeiro’s Sugarloaf Mountain, the ‘The Stadium of Wonders’ featured a Panasonic a 4K+ PT-RQ13K projector (and a number of Panasonic projectors and professional displays) to help visitors create their own Rio 2016 Olympic magic moments. Panasonic’s technical cooperation inspired a spirit of teamwork that transcended cultural boundaries, helping the innovation behind each product keep the spirit of the Olympic and Paralympic Games burning for the event’s duration.